Learn about the unique charm of Mylopotamos with a stay in a holiday home rental. Renowned for its diving, zoo and horse riding, this city welcomes all visitors. Fortezza Castle and Natural History Museum of Crete are just a couple of the must-see attractions in the area. A holiday rental can help make your stay complete—many rentals come with a full kitchen and laundry facilities. The nearest airport is in Heraklion (HER-Nikos Kazantzakis), located 22.5 mi (36.2 km) from the city centre. If you're unable to find a flight that fits your schedule, you could also fly into Chania (CHQ-Ioannis Daskalogiannis), which is 38 mi (61.1 km) away. Where to stay near Mylopotamos? 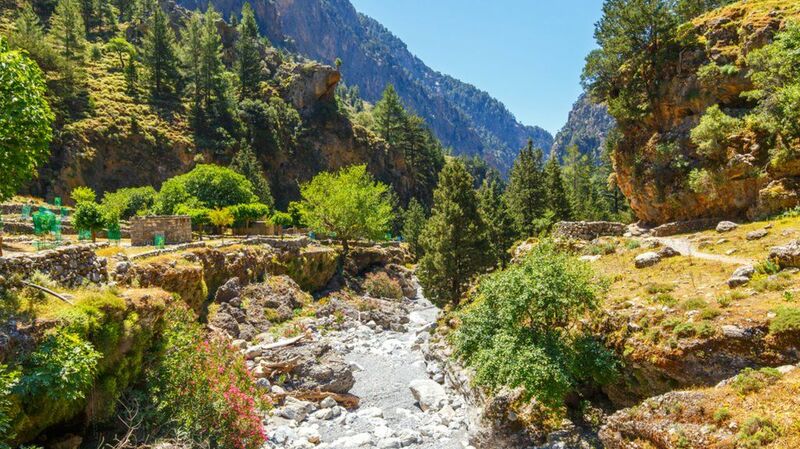 Our 2019 accommodation listings offer a large selection of 1,351 holiday rentals near Mylopotamos. From 237 Houses to 28 Bungalows, find unique holiday homes for you to enjoy a memorable stay with your family and friends. The best place to stay near Mylopotamos for a long holiday or a weekend break is on HomeAway. Can I rent Houses in Mylopotamos? Can I find a holiday accommodation with pool in Mylopotamos? Yes, you can select your preferred holiday accommodation with pool among our 1,005 holiday homes with pool available in Mylopotamos. Please use our search bar to access the selection of holiday rentals available.